A table can be used to display pieces of data about different things. The title of the table tells us what the table is about. The headings tell us what data is in each column and row. To find out how many shots Louie made for the second hole, you look across the Louie row until it meets the second hole column. 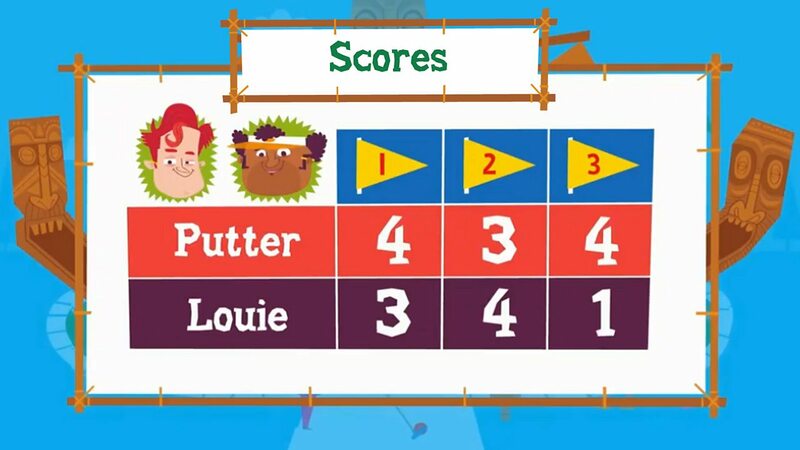 So Louie made the hole in 4 shots! The data table shows the players' scores.